We live in an era where the issue of sanctions is increasingly intruding on everyday business life. On 27 January 2019, the US Department of the Treasury’s Office of Foreign Assets Control (OFAC) lifted sanctions imposed on En+ Group plc, UC Rusal plc, and JSC EuroSibEnergo, following an earlier notification submitted to the US Congress on 19 December 2018. The reason stated for the lifting of these sanctions was that the companies involved had reduced the ultimate shareholder’s stake and agreed to unprecedented transparency. Lack of transparency is a common theme in the field of sanctions. While the OFAC publishes official press releases regarding the application of sanctions, the initiators and reasons for the application of sanctions in Ukraine often remain in the shadows. In addition, this primarily refers not to Russian persons, but to sanctions against European companies. The reasons for their sanctioning are sometimes extremely vague. This gives cause for reasonable doubt about the legitimacy of their objectives. For example, on 14 May 2018, Decree No. 126/2018 appeared on the Ukrainian President’s official website without any accompanying lists of sanctioned entities. On 25 May, the National Bank of Ukraine canceled the registration of the domestic payment system WebMoney.UA. However, publication of the Ukrainian President’s Decree, the National Security and Defense Council’s decision, and the associated lists only took place in the President’s Official Bulletin on 5 June. Distribution of this edition then proceeded on 11 June. Ukraine’s Law on Sanctions confirms the National Security and Defense Council’s right to apply any sanctions at its own discretion. However, the most common sanctions for companies tend to involve the blocking of assets and suspension of financial transactions. This makes it impossible to establish business contacts, enter into transactions, or conduct any operations with financial and other assets in Ukraine. For Ukrainian residents this means the cessation of commercial activity, making it impossible for them to comply with their obligations to the budget and third parties. 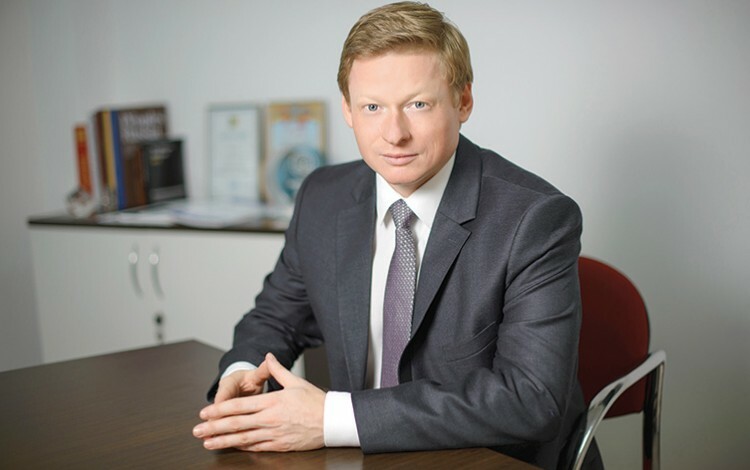 According to updated procedural law, disputes regarding the legality of the Ukrainian President’s decrees shall be subject to consideration in simplified litigation by a panel of judges of the Cassation Administrative Court. The Grand Chamber of the Supreme Court is the appellate court. Meanwhile, as the European Court of Human Rights (ECHR) has established, the right of ownership may be restricted only if the law provides for restriction, if restriction is in the public interest, or if restriction would comply with the principle of proportionality of the interests of the state and the individual in question. Restriction of property rights should reflect a fair balance of public interests and fundamental rights and may not impose an “excessive burden” on the owner. Subject to the above requirements, the Ukrainian authorities should determine in each particular case whether the country’s national interests require precisely such a level of interference with the rights and freedoms of any individual or company. Nevertheless, due to the current position of the Ukrainian Supreme Court, the use of sanctions by the state does not constitute a violation of rights and freedoms. The possibility of imposing sanctions is provided for by the law and has a legitimate aim, namely the need to immediately and effectively response to threats to the national security of Ukraine. Taking into account this formal approach, achieving a positive outcome in any sanctions disputes with the state is unlikely. To date, appellants have lost all disputes. The sole exception is case No. 9901/759/18, which provides the only example of a suspension in sanctions proceedings at the request of the Ukrainian President’s representative. In addition, foreign investors may also apply for international arbitration with regard to the direct and indirect expropriation of assets. This is applicable because some decisions of the authorities on the procedure for applying sanctions deprive an investor of the ability to manage and control assets. As an example, the National Securities and Stock Market Commission’s Decision No. 1707 dated 13 October 2015 recognized the shares of sanctioned shareholders as non-voting. Thus, non-voting shares are not counted when determining the quorum of the shareholders meeting. A company with a significant stock of shares loses its representatives in the management and the right to vote on all issues on the agenda. The actions of Ukrainian state bodies often conceal the interests of particular “favorite friends” and financial groups that have nothing to do with issues of national security. Therefore, a portion of the decisions taken around the issue of sanctions may be either a means of applying pressure on business, or a means of redistributing the market (for example, gambling), or a means of indirect expropriation of assets. I certainly do not challenge the importance of sanctions legislation in most cases. However, there is a need for the Ukrainian authorities to explain the reasons for imposing sanctions on business. It is also important to establish the legitimacy of the aims behind sanctions measures. This could be subject to verification by the Supreme Court in respect to the compliance of any decision with the basic criteria of reasonableness, objectivity, good faith and proportionality.